WAUNAKEE, Wis. (September 18, 2018) – Wisconsin School Music Association (WSMA) proudly announces its inaugural list of schools that have officially been awarded WSMA Accreditation in 2018. “Congratulations to all schools that achieved WSMA Accreditation for the 2017-18 school year. We applaud their efforts to provide valuable music education opportunities for students,” said WSMA Executive Director Laurie Fellenz. Enroll in WSMA membership for current school year. School membership enables students to participate in WSMA programs that provide enrichment opportunities as part of a quality music education. Register one or more students for WSMA District Solo & Ensemble Festival. Through the Solo & Ensemble experience, students learn the discipline of rehearsal, are challenged to advance their musical skills, perform in front of an audience and adjudicator, and receive feedback on their performance. Register one concert group of each available ensemble type for WSMA Concert Group Festivals or Concert Group Clinic Experiences. A Concert Festival is like Solo & Ensemble, only for full performance ensembles, like bands, choirs and orchestras, and the festival includes a minimum of three member schools each performing two to three selections for a panel of adjudicators. A Concert Group Clinic Experience can include a variety of possibilities, such as performing on a destination trip for panel feedback, working with a resident composer or clinician, and exchanging critiqued performances with other concert groups over Internet video feeds. 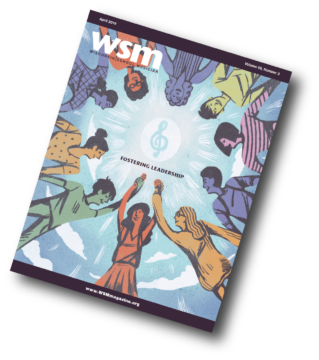 Accreditation distinguishes member schools that exemplify WSMA’s shared mission, “To ensure that all students have opportunities which encourage lifelong involvement in music,” through participation in WSMA programs. These schools receive public recognition, accreditation certificates and authorized use of the official 2018 WSMA Accredited School logo. 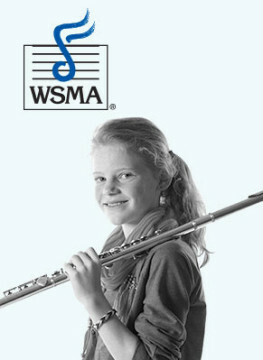 Learn more about WSMA Accreditation at wsmamusic.org. Founded in 1932, Wisconsin School Music Association (WSMA) is a non-profit service organization with more than 1,000 member public and private schools. Students from member schools are eligible to participate in WSMA programs, such as District and State Music Festivals, Concert Festivals, State Honors Music Project, State Marching Band Championships and Student Composition Project. WSMA is governed by a board of directors made up of superintendents, principals and other officers from all over the state. WSMA believes music is a basic human need and that all children have the right to experience all that music offers them.